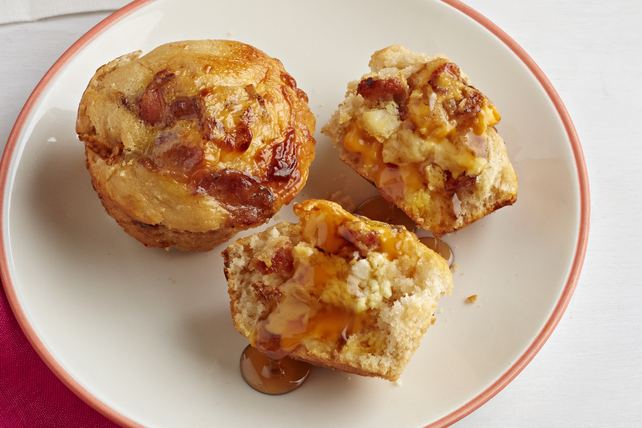 These Egg & Bacon Pancake Muffins have all of your favourite breakfast ingredients in one easy savoury muffin recipe! Whisk pancake mix, water and 1/2 cup syrup until blended; spoon into 12 muffin pan cups sprayed with cooking spray. Bake 16 to 17 min. or until centres are set and edges are lightly browned. Serve warm topped with remaining syrup.